Learn Reiki Online from the comfort of your home with a distance Reiki Attunement from Reiki Master Yogi Ricky Mathieson. Includes personal Attunement from Reiki Master Yogi Ricky Mathieson. GET YOUR 94% DISCOUNT NOW! Learn Reiki Online, includes distance Reiki attunement, online lectures, and expert support in my unique system of energy healing, Reiki Solas. Receive distant Reiki healing direct from me to cleanse, heal and balance your body and mind and improve your health and well-being. Benefit from insightful spiritual guidance and receive relationship advice and life coaching to help guide you with your life and challenges. Discover my unique system of energy healing and get your distance Reiki attunement today! Learn Reiki Online today, activate your Light body and awaken to your full potential. Receive direct training and guidance in Reiki Solas, my advanced practice of energy healing and spiritual development. 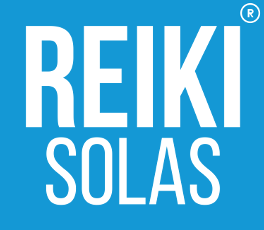 Reiki Solas is a unique system of Reiki taught and guided by me, Yogi Ricky Mathieson, that includes advanced Kundalini Reiki techniques, ancient Eastern Yoga practices and deep spiritual meditations used specifically for self-healing and REAL spiritual development. ‘Solas’ means ‘Light’ in Scottish Gaelic and references the spiritual illumination these online eCourses offer you. Reserve your place today on my Online Reiki Courses and take advantage of over 17 hours of guided video tutorials and reveal the secrets to achieving peace, happiness and self-mastery. It’s time to awaken to your inner Self. 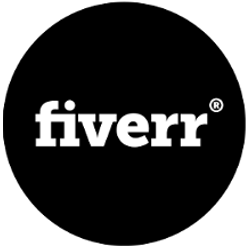 Learn Reiki Online Today! Not only can you receive distance Reiki attunement and learn Reiki with my online video course, but you can also receive distant Reiki healing, direct from me, to help heal your body and balance your mind. I offer a range of distant Reiki Healing Services to clients, available online in the comfort of your home. Allow me to harmonize your relationships; repair your family ties; energize your aura; cast out negative energies; and relieve your stress and anxiety. With my advice, healing and guidance I will help you to achieve real lasting peace, happiness and self-mastery by removing the internal energy blockages that stand in your way. Tap into the limitless potential that hides within your Inner Heart. Awaken to Reiki and healing now…and awaken to your True Self! Take your first big step in self-healing and personal development and get your distance Reiki attunement in the advanced Reiki Solas today! Discover my unique system of healing and spiritual development from a Reiki Master with over 19 years of energy channelling experience and awaken the secret power hiding within your Inner Heart. All online Reiki courses include over 17 hours of HD video lectures, dozens of articles, techniques, guidance and lifetime support from me Yogi Ricky Mathieson. Discover my Online Reiki Courses today, get your distance Reiki attunement now, and learn how to heal yourself and attune others. If you need healing yourself, experience your own distant Reiki healing session today!